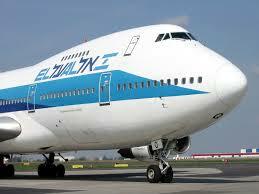 El Al – Israel Airlines pioneered Profiling, as the realization spread throughout the operational wing of the aviation industry that IED detection by X-Ray alone was inadequate. The belief was that X-Ray operators needed to be armed with an idea of which bags were most likely than others to contain explosives or weapons, in advance of checking them. The solution was that those passengers regarded as more likely to pose a significant threat to the safety of the aircraft would accordingly be those whose person or baggage should be most thoroughly checked. Since its introduction by EL Al, the methods used in Profiling have been adapted to western cultural, social and economic conditions that differ from those of Israel. When you are declined a credit card, this often means the bank has profiled your records and deemed you not reliable enough. If you join an online dating agency, you fill in some search parameters and the system will provide you with a list of profiles. When you’re in a bar or nightclub, you’re looking at people’s behaviour, clothing and appearance before approaching them. In customs and immigration, the sheer volume of goods and people crossing borders necessitates the need for profiling as it enables them to use more selective security measures. For example, travelers are selected by customs officers based on suspicion indicators that relate to drug smuggling methods of operation. Profiling also lends itself to mass transit hubs such as train stations and bus depots where the sheer volume of people means conducting full checks on each traveler is infeasible. In this case Predictive Profiling can help security officers focus on the people, objects or situations that draw suspicion because they may reflect a real threat. Law enforcement agencies around the globe have been and continue to use elements of Predictive Profiling in their daily activities. Any officer ‘on the beat’ understands suspicion indicators, and how certain behavior, objects or situations stand out from the norm with which the officer is intimately familiar. Law enforcement officers make situational assessments and conduct behavioral observation all the time. For example, if Police officers know from previous experience that drug traffickers use rental cars, travel early in the morning and put the spare tire in the back seat to leave more room in the trunk for drugs, they will stop any car that fits this profile, even if it is not breaking any traffic rules. This is considered profiling.